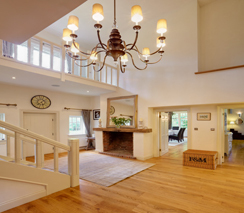 Welcome to Woodspeen Manor, a luxurious and spacious contemporary rural retreat, set in 6 acres of private land within an Area of Outstanding Natural Beauty, in the heart of the beautiful West Berkshire countryside. Located only 2 miles from Newbury, and only 3 miles from Junction 14 of the M4 motorway providing ease of access to all major routes to the west and south of England and London. Equally ideally located very near to a wide range activities such as horse racing, horse riding, golfing, shooting, canoeing, walking, cycling, spa and theatre. 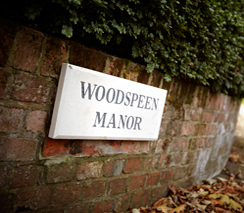 Woodspeen Manor has been lovingly restored and beautifully furnished to an exceptional standard. The luxury contemporary rooms are large, spacious and light. They have been individually designed and take great advantage of the excellent views over the gardens and the countryside beyond. Woodspeen Manor is a friendly family home and your host Georgina Punter provides a friendly and courteous welcome.